I love when people do good things for great causes. The friends of Lexi Zelin have decided to help with the costs of her cancer treatments and they invited designers to participate. So here is my drop in the bucket. 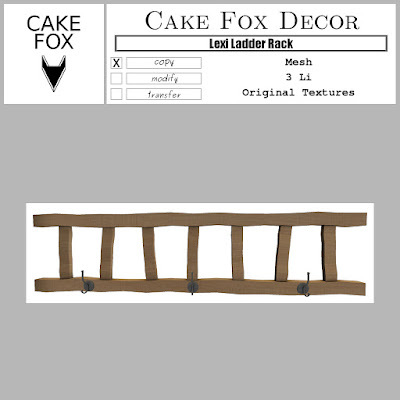 This is an exclusive product for a great cause. 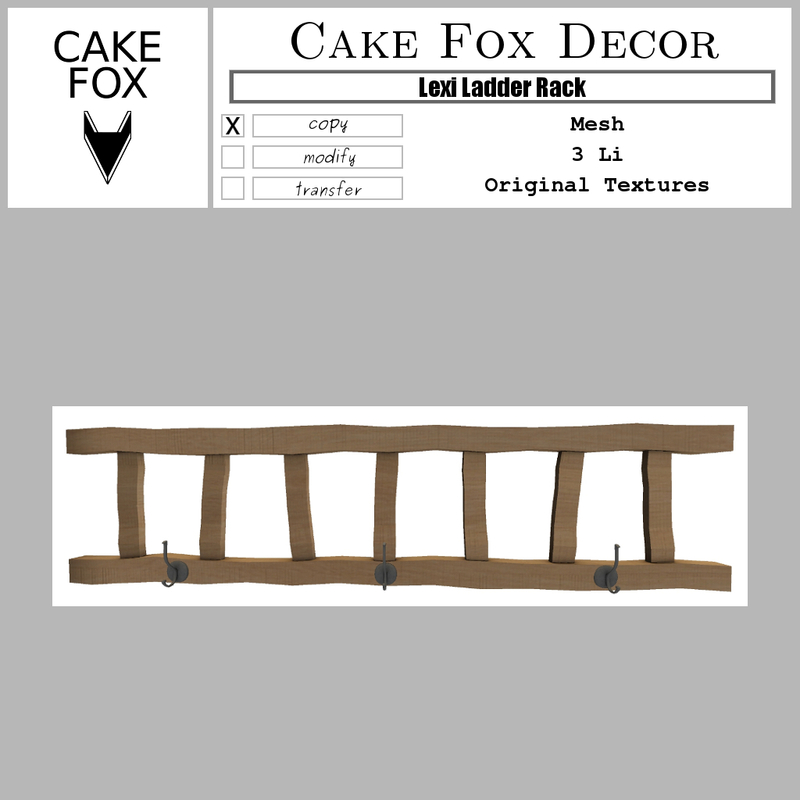 Cake Fox Decor Lexi Ladder Rack is a 100% donation item at The Lexi Project. 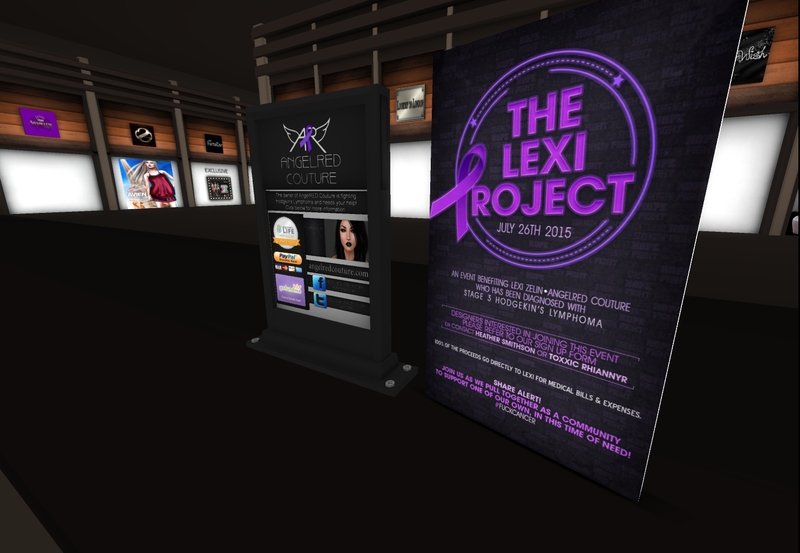 Make sure to visit the event on 26th of July, 2015, and shop for some great exclusive items, all giving 100% of the proceeds to Lexi. For more information on why The Lexi Project is being held, check out the GoFundMe page. You can also follow Lexi on Twitter. Heather Crawford is 28 years old and has a 6 year old daughter. In Second Life Heather is known as Lexi Zelin, the owner of AngelRED Couture. On June 30th she was diagnosed with Hodgkin's Lymphoma (cancer). Here is some info on the illness http://tinyurl.com/Hodgkins-Lymphoma.